It may seem absurd to think about working an 18-hour day, but it happens all the time in the software development community. If managers don’t accurately estimate project schedules based on a clearly defined scope of work, managers and their development teams may find themselves working long days to deliver on promised deadlines and deliverables. 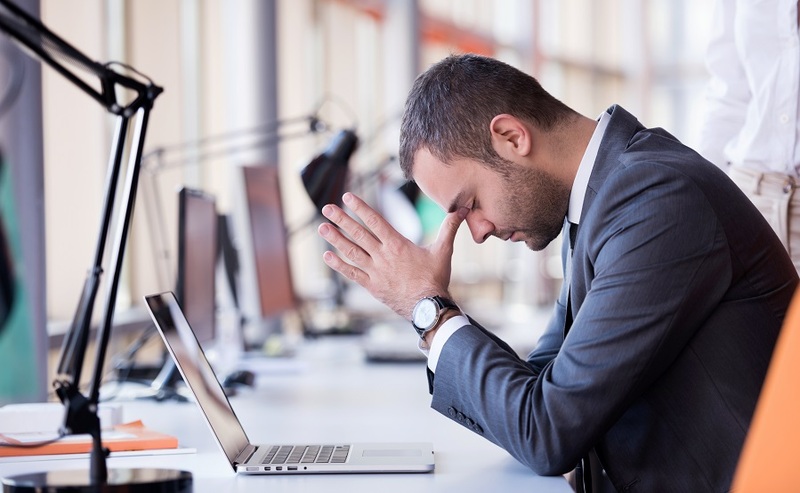 Being overworked in an environment where a project is running over schedule can also lead to the delivery of a defective or flawed product, which is bad for both the development organization and the business unit for which the product is being developed. One article that I read recently states that time pressures cause employees to cut corners and that the 18-hour workday does not allow for forward or creative thinking. This can be disastrous to an organization that values both the quality of work and the out-of-the-box thinking of its development team. I think it’s safe to say that nobody really enjoys hearing bad news. It’s especially hard if you’re the person who has to deliver the bad news, particularly to a superior. How will your boss react? Will you be the one held responsible (unfairly) for the project failure? These are all reasons for keeping the ‘bad news’ to yourself and letting those in charge find out on their own. Unfortunately, this type of management exists beyond the pool house and can frequently be found in the corporate world as well. In an environment where your reputation can mean everything, stakeholders can be very reluctant to receive bad news about the status of their project. The silver lining in this is that receiving ‘bad news’ isn’t necessarily always a bad thing. Allow me to explain. “More projects have gone awry for lack of calendar time than for all other reasons combined” - Frederick Brooks, The Mythical Man-Month. These words were penned by Frederick Brooks in “The Mythical Man-Month” over 35 years ago. Think back to that time for a moment. The first personal computers were being born as kits assembled by electronic hobbyists. Serious programmers considered them to be toys. A good knowledge of COBOL could get you a job just about anywhere. Computers and IBM were virtually synonymous. Structured programming was the process improvement silver bullet of the day. Something called ARPANet, the parent of the Internet, had come into existence. And software projects experienced serious problems because they weren’t given enough time to complete and test their work. Everything has changed except for the last item. Large companies often seem to have a few people in key positions with extra time on their hands. Occasionally, this time is used to invent acronyms that are supposed to embody corporate ideals. Mercifully, these usually fade away in time. A former employer of mine had two beauties: LOCOPRO (Low Cost Provider) and BEGOR (Best Guaranteer of Results). Unfortunately, besides being grating on the ear, LOCOPRO and BEGOR don’t always march in tandem. LOCOPRO deals with cost and the effort required to deliver something. BEGOR is a bit more amorphous dealing with quality and an organization’s efficiency and consistency in meeting requirements. What are the normal requirements for a software project? Here’s my short list. Quality. In Business IT systems this is often an implicit requirement that is most noticed when it is absent. Real time, telecommunications, military, and life support systems are more frequently developed and tested to explicit quality standards. The mantra of Faster/Better/Cheaper captures most organizations’ desires for Cost, Schedule, and Quality – all at the same time. If only the laws of software would cooperate! But they don’t. Software is like a balloon. You constrict it in one place (schedule, for instance) and it expands in another (cost). The problem isn’t going to disappear; but by prioritizing requirements, conscious and realistic tradeoffs can be made. I have been enjoying Alan Cohen's A Deep Breath of Life. I read it every morning with pen in hand, never failing to find at least one or two profound sentences to be my watch-words for the day. One of the July writings contains this quote: "Only infinite patience begets immediate results." David writes about the perils of rushing through life, and how a lack of patience can causes us to create unnecessary chaos in our daily rounds. He writes, "Rushing never improves the quality of our life or the results we seek; to the contrary, it muddles our vision and causes us to make errors that cost us twice as much time and energy to repair." One of my first thoughts was about my work at QSM, and how SLIM-Estimate demonstrates the power of patience in software development. Is it possible to exercise patience when there are important business objectives and profit margins to achieve? 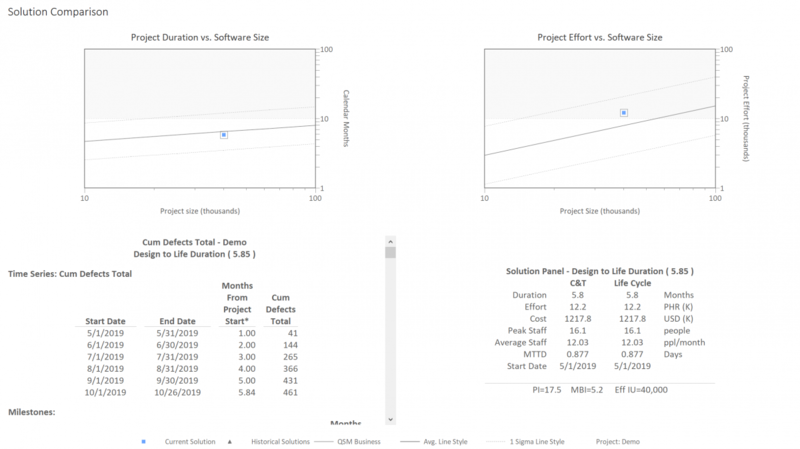 The Putnam software production equation, backed by 30 years of industry data, shows that relaxing the project schedule gives the best “bang for your buck” to produce value for your customers.